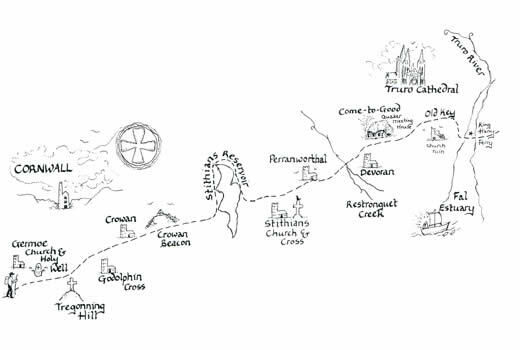 The identification and on the ground surveying of a route down through Cornwall is complete and a guidebook has been written and is now available. 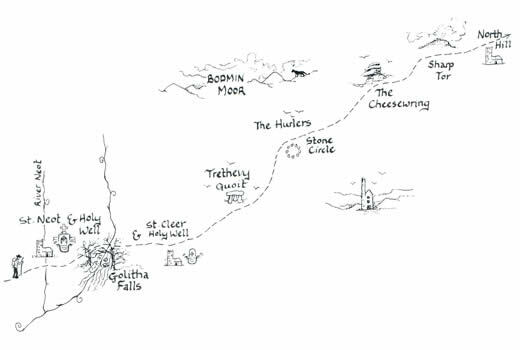 The earth energy lines dowsed by Hamish Miller again form the guiding principle for this journey which begins at the cliff top, Carn Lês Boel close to Land’s End. Places visited on route include the ancient stone circles of Boscowen-Ûn and the Hurlers; peaceful holy wells such as Alsia and St Neot and intimate parish churches like that at Germoe. There is also the famous landmark of St Michael’s Mount. 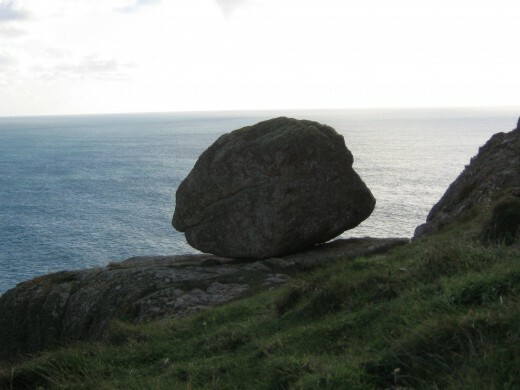 These and many other sacred sites are set within the context of beautiful scenery: including stretches of coastal footpath; secluded river valleys and the wild expanse of Bodmin Moor. 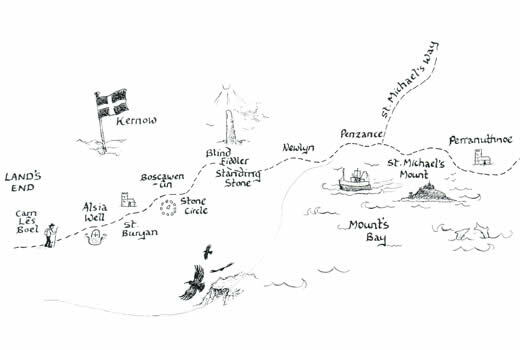 A rich feast which we hope will inspire and nourish the spirit as pilgrims walk right up through the Cornish peninsula and cross the river Tamar into Devon, before connecting with our pilot project start point at Brentor. 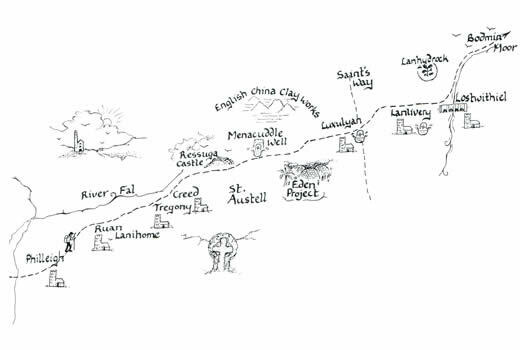 As with the route between Brentor and Glastonbury we have avoided main roads in developing the pilgrimage through Cornwall, with stretches of walking on minor roads where necessary and much of the route utilizing public footpaths and moorland with open access. 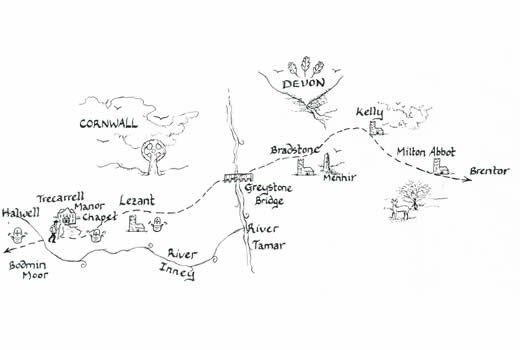 To whet the appetite we have added galleries with photographs of places of interest along the way to the website, whilst the symbolic maps drawn by Simon Prince (top of this page) represent the approximate route we have chosen to follow through Cornwall.